I’m rather spoilt. 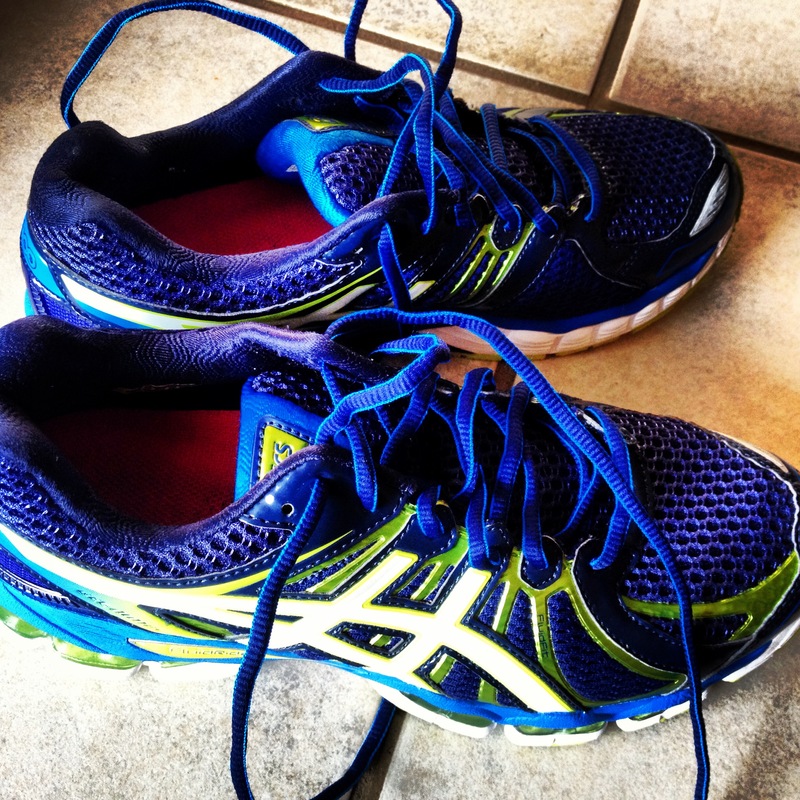 KK does almost triple the distance on his running shoes and each January buys new ones. Mine can still go a few more kilometres but I always get a new pair. This year, majority of the women’s asics shoes were pink (which is so not me) so I opted for the men’s blue in my size (thanks for your help, Craig @ Dunkeld Sweatshop). I adore them! Even though we download the app, one of our favourite dog-eared books must be the green running guide. Ironically, it’s the same info every year and after years of running you kinda ‘know’ the races. But we love paging through it and analysing upcoming races to enter. The first big race of the year, Dischem offers a 21.1km as well as a 5km run. I had to give my half marathon entry away this year as I was not yet fit enough, but was satisfied to manage the 5km distance. It’s riddled with all types of people and I just love how the kids make the water stops a fun part of the race and splash one another while being consumed with giggling fits. It really makes it a ‘fun run’. Okay, so (I think) I’m ready. Here’s to a fabulous 12 months of fitness and running! This entry was posted in My Races, My Running and tagged Dischem 21.1km, Dischem Rehidrat 5km, nedbank runner's guide, running calendar, running plans, running shoes, running year, tom cottrell by Bo. Bookmark the permalink. I saw that you’ve been doing those park runs. They look like great fun! You know what though, we all start somewhere and there’s no better time than January! (Ps: I still walk during my runs) See you at any of the races soon? Here’s to an injury free year!! !